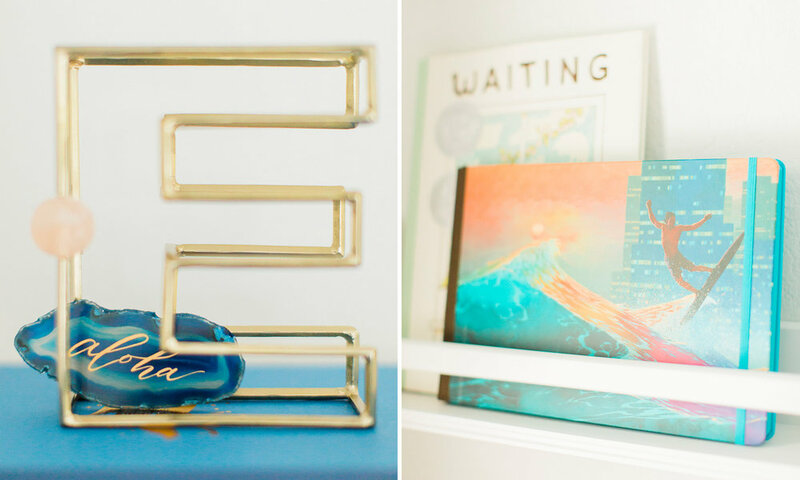 You'd think that after six months of being MIA on this blog, my first post back would be jam-packed with design goodness. The good news is, it IS...the bad news is, it's not exactly about graphic design. 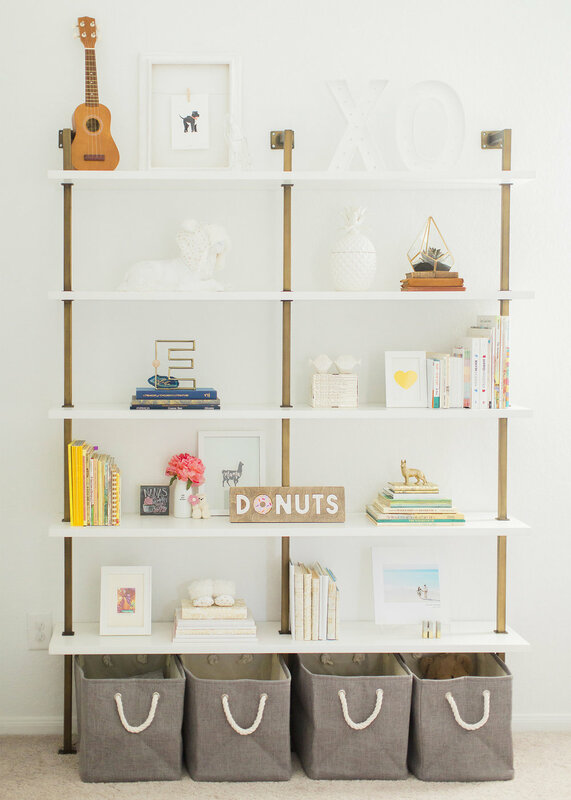 More like, errr, nursery design. (If you don't have kiddos, I can hear you gagging and I can see your eyes rolling. I don't blame you.) 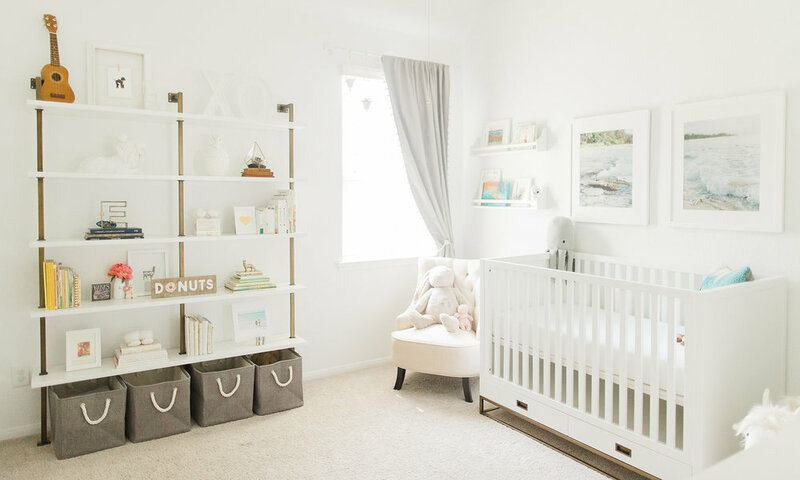 However, some people have asked to see our nursery, so I figured I'd share it as our last post of 2017 because, well, having a kid was our greatest accomplishment this year. My second greatest accomplishment was getting work done and wrapping up projects on schedule. Yay me. Andrew and I have a special place in our hearts for Hawaii. Neither of us is Hawaiian—though I do have some island blood in me—but we both grew up going to the Big Island every summer as kids. 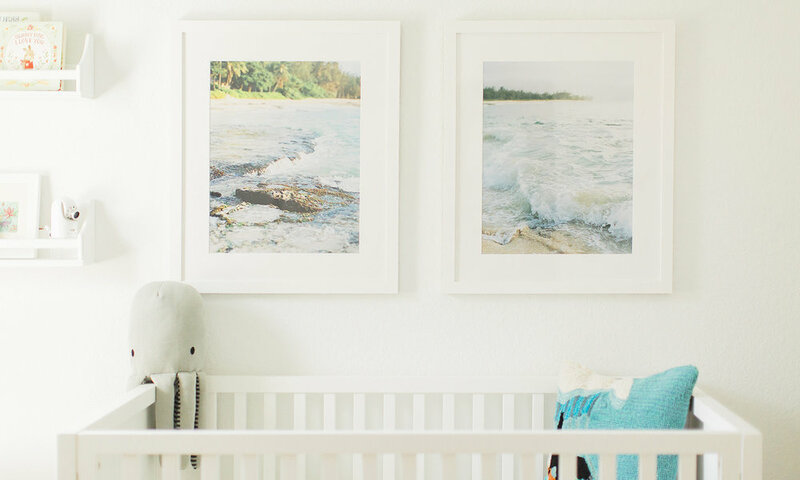 When I suggested the islands as a theme for Em's room, he jumped on board immediately. The details, of course, are my favorite. These photos of Hawaii were taken by Irene Cole, a photographer I met through Caroline Tran's Propel Workshop in California. We've followed each other's work over the past few years, and when I saw these I asked if I could purchase prints of them. Andrew made this needle-felted Totoro for me. It's the best. 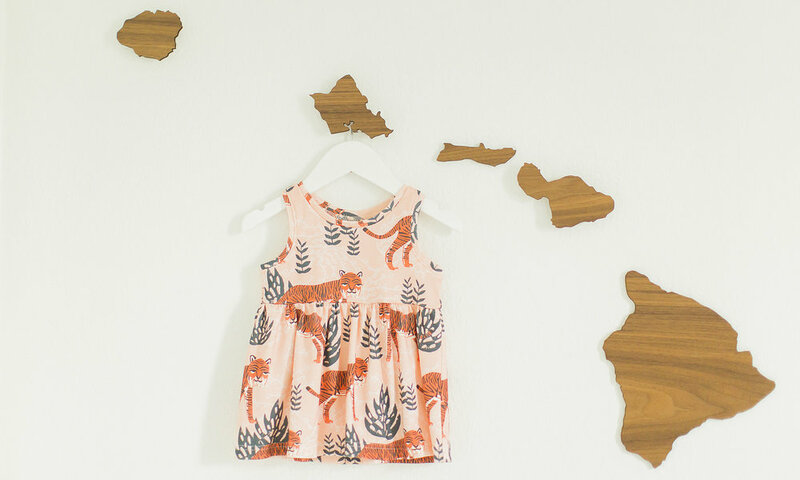 All of the small pieces of art are by Hawaiian artists, collected over time from Maui, Kauai, and the Big Island. This succulent is a descendent from my wedding bouquet. The growth chart ruler was made by my lovely friend Lauren of White Loft. Andrew saw that I pinned this pillow cover on Pinterest and he bought it for me as a surprise. 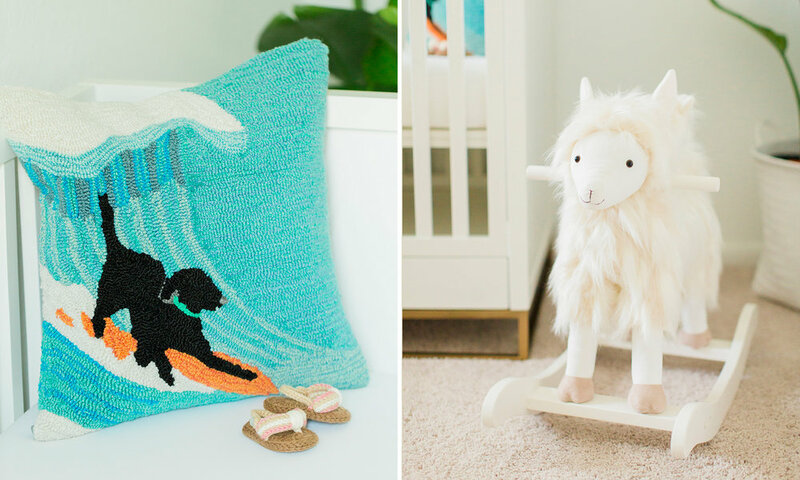 The llama rocker from Pottery Barn Kids was a surprise gift as well (from my mom). If you don't know, I love dogs, goats, llamas, and pretty much all animals. These stacked books weren't working with my colorway so I covered them in fine art paper from Paper Source. 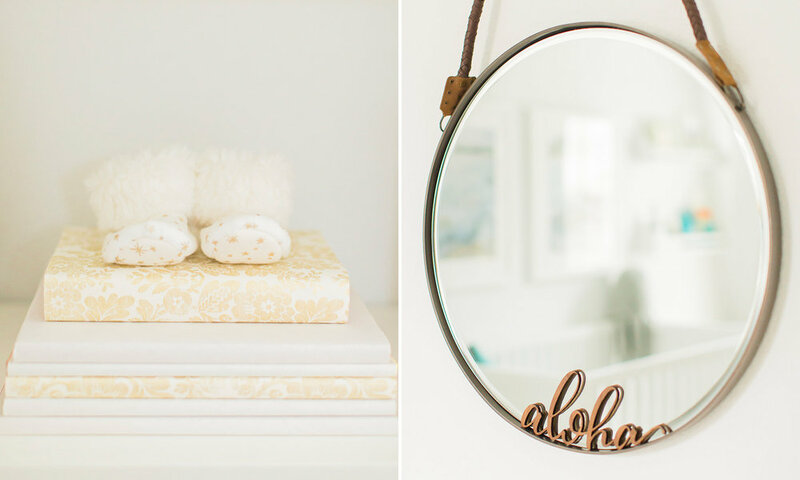 :) The mirror is from Anthropologie and the "aloha" was written by yours truly and cut by Kolorize (another one of my favorite shops). This piece of agate was a gift from a very talented calligrapher named Han. 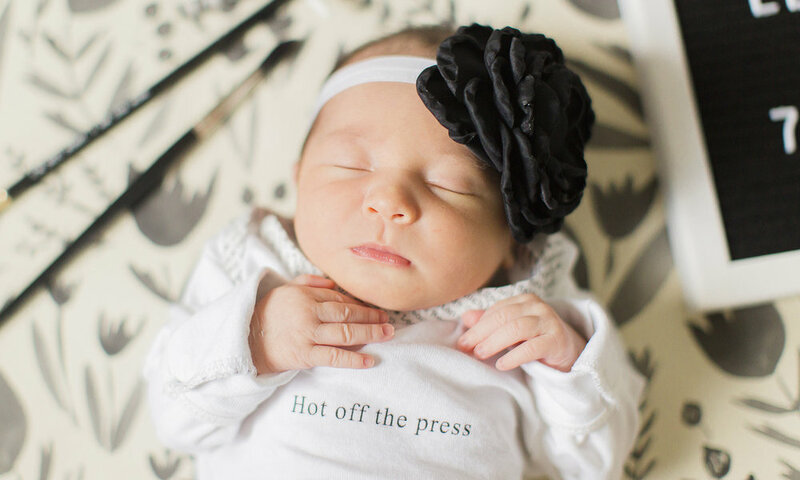 Her shop is called Hanwriting and it's ah-mazing. Check it out. The book on the right is a collection of Hawaiian art that we bought at Louis Vuitton. It was the only thing we could afford in the store. 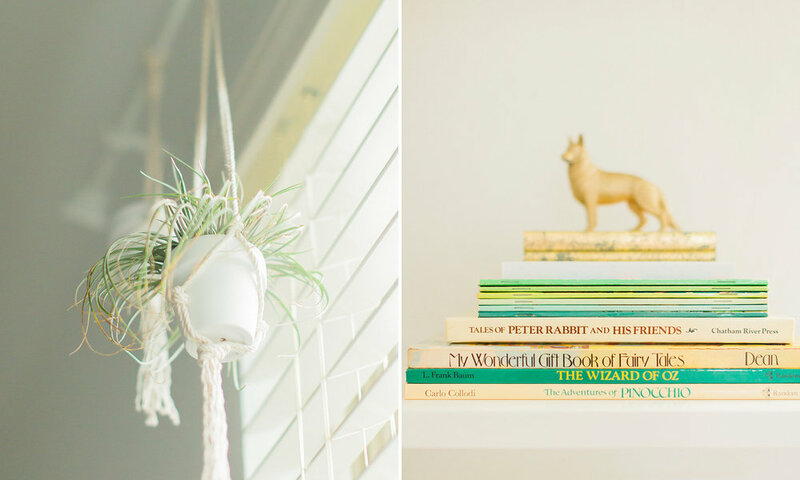 These mini macrame plant hangers were made with love by my friend at KetMercantile. The books on the right are actually mine from childhood. So there you have it! As I reflect on this year, I think about all of the awesome connections I've made online. Social media is both a curse and a blessing; it stresses me out to post regularly but it has also allowed me to forge friendships with many talented, warm-hearted people I never would have met otherwise. 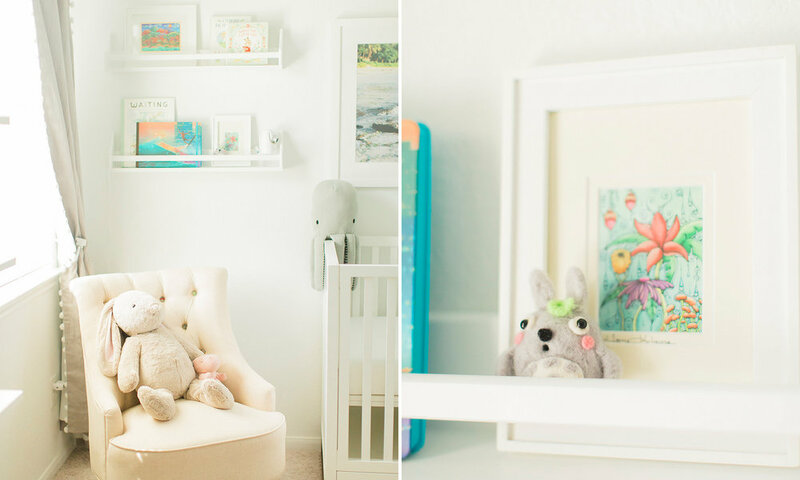 Our nursery is a great reminder of that. Happy New Year! I hope 2018 is filled with joy, growth, and new, meaningful connections!